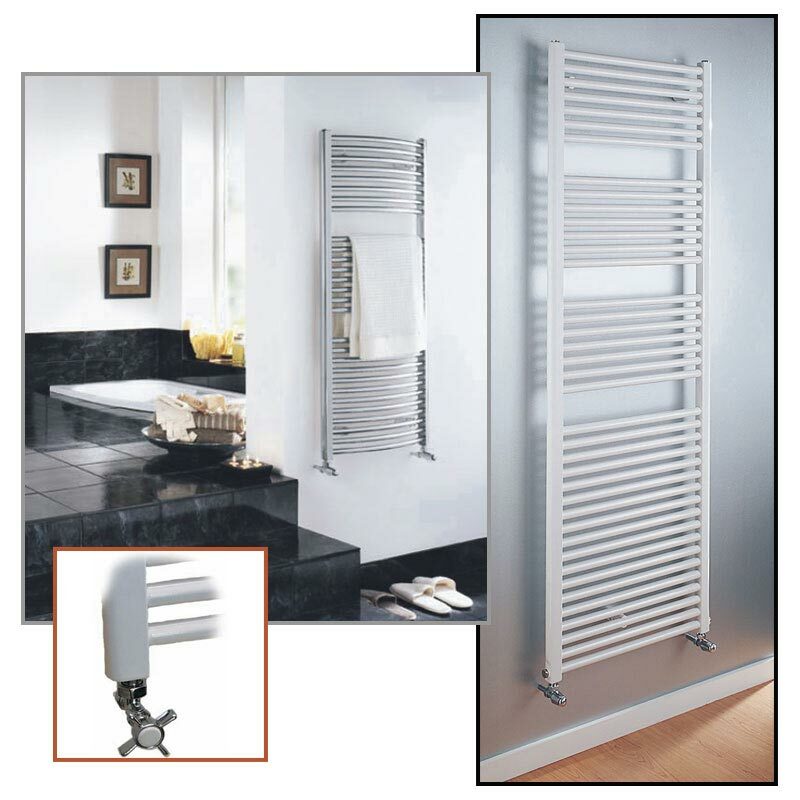 Ladder Rail Towel Warmers - Express Radiant Ltd. - Stelrad Canada. 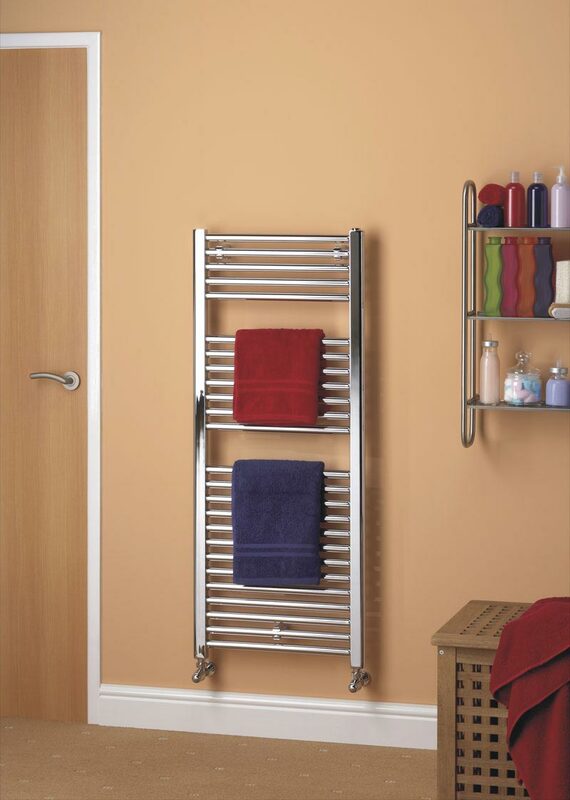 With a choice of attractive straight or softer curved rails available in both white and chrome finishes, the ladder towel rails are ideal for bathrooms and kitchens. 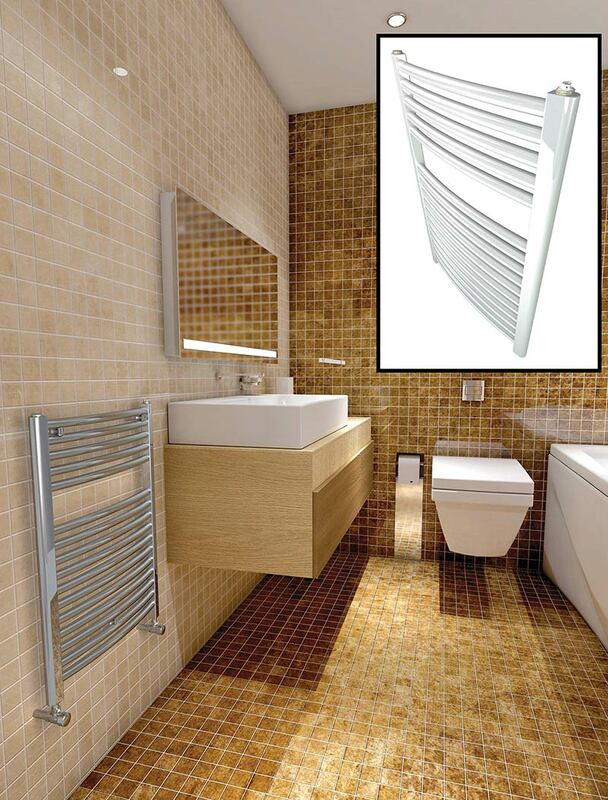 These simple-chic towel rails offer efficient space heating and practical drying performance to enhance your bath or shower-room. 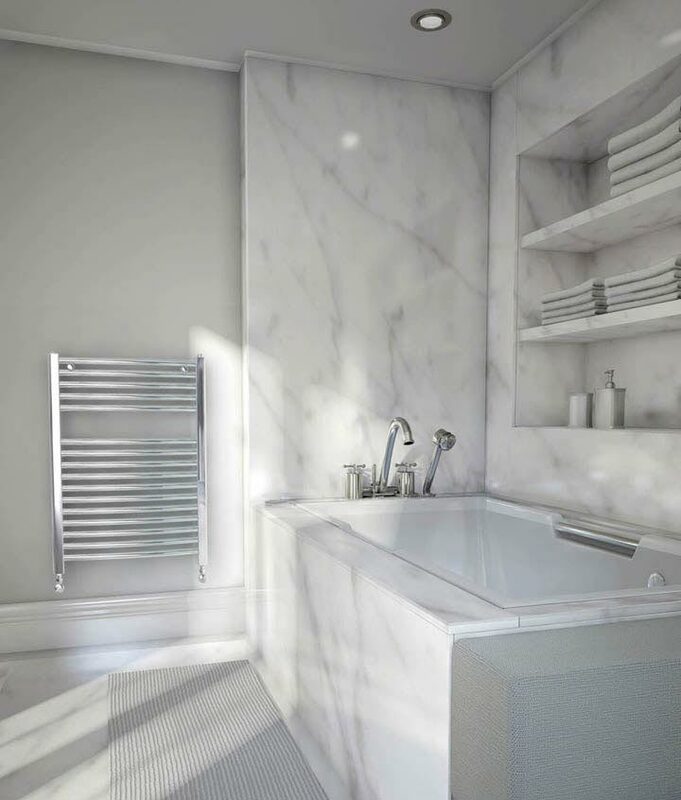 Imagine a bathroom with flair and style that offers an abundance of towel warming space and luxurious comfort. Download in-depth product brochure including sizes, rough-in specs and technical data. Please Note: All Stelrad Radiators must be installed on a closed system. Radiators that are heated by outside wood boilers and installed WITHOUT A HEAT EXCHANGER ARE NOT ON A CLOSED SYSTEM. Warranty will be voided if installed on this type of system. Applies to all models.